Figure 3-8 Application of the screening rules for station 21 MINN MSU-815-BB15E58 located in the Upper Mississippi River: (a) time series of historical DO observations from 19571997; (b) before- and after-CWA frequency distribution; and (c) tenth percentile values. Source: USEPA STORET. Distributions were made for each group and the tenth percentile determined. Figure 3-8b displays the before- and after-CWA DO frequency distribution. 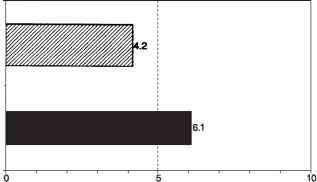 Figure 3-8c is a bar chart comparing the tenth percentile DO values of the before- and after-CWA time-blocks. Note that the tenth percentile statistic associated with the before-CWA period is below the USEPA's minimum concentration of 5 mg/L, the level required to be achieved at all times for early life stages of warm-water biota. Finally, the spatial assessment phase confirmed that the monitoring station where the DO data were collected was on the Upper Mississippi River downstream of the St. Paul METRO water pollution control plant. Therefore, the station remained eligible for the comparison analysis. • The before- and after-CWA data sets are collections of DO summary statistics that characterize worst-case DO at individual water quality monitoring stations across the United States for the 1961-1965 and 1986-1990 time-blocks, respectively (one DO summary statistic per station per time-block). • The summary statistic used to characterize worst-case DO at a station is the tenth percentile value of a data distribution of actual DO measurements taken at the station during the specified time-block and recorded in STORET. For the station to be eligible for inclusion in the data set, at least eight measurements had to have been taken during the 5-year time-block. The purpose of the data aggregation from a spatial perspective step was to assign a worst-case DO summary statistic to every eligible spatial unit defined at the reach and hydrologic unit scales for the before- and after-CWA time-blocks. This task was accomplished in two steps. First, for each data set and time-block, the mean tenth percentile value from each eligible station was computed within the spatial unit. (Since the scales are hierarchical, a station's summary statistic was effectively assigned to a reach and a catalog unit.) Second, the mean tenth percentile summary statistic was calculated and assigned to the spatial unit for the purpose of characterizing its worst-case DO. • To be eligible for the paired (i.e., before vs. after) comparison analysis, a hy-drologic unit must have both a before-CWA and an after-CWA summary statistic assigned to it. After each eligible reach and catalog unit was assigned a worst-case DO summary statistic for the appropriate before- and after-CWA time-blocks, a check was made to see which spatial units had both a before- and an after-CWA summary statistic. 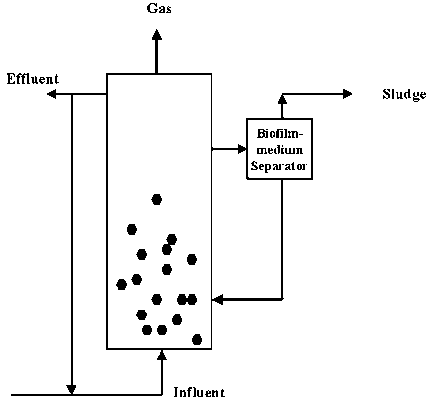 For many reaches and catalog units, factors such as the absence of dry flow conditions, station removal or change in station location, or change in water quality sampling technique over time (see Figure 3-2) caused a summary statistic to be available for one time-block but not the other. In this case, the spatial unit was removed from the analysis since a comparison could not be evaluated. • Of the 12,476 reaches identified as being downstream from point sources, 311 reaches had both before- and after-CWA worst-case DO summary statistics. • Of the 1,666 catalog units identified as being impacted by point sources, 246 catalog units had both before- and after-CWA worst-case DO summary statistics. • The 311 reach-aggregated DO summary statistics were pooled by the 18 major river basins in the contiguous United States. Using the statistical requirements to conduct a paired t-test as a criterion, 11 of the 18 major river basins had sufficient reach-aggregated worst-case DO data to conduct the comparison analysis at the river basin level. The number of reaches and catalog units with both before- and after-CWA DO data was constrained by the limited availability of station records for the 1961-1965 before-CWA period. Figure 3-2 shows that a much larger database of station records was available for the 1966-1970 and 1971-1975 time blocks. Although these periods could have been selected, the known occurrence of severe drought conditions during the early 1960s was the major reason for selecting 1961-1965 as the before-CWA time block.